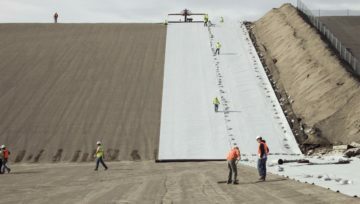 From composite base liners to synthetic closure systems, ESI is the leading geosynthetic liner installer in the nation. Expect the best from your liner installer. Safety, quality, efficiency, and consistency in performance, should be the standard of excellence and thus your baseline requirements. Teaming with a liner installer who consistently demonstrate these standards will lead to lower overall costs and lower operational risk for your company and operations. We lead the industry having installed BILLIONS of square feet of geosynthetics, among thousands of projects. Our portfolio of projects extends from border to border and coast to coast – we have left our footprint in every state in our great nation. 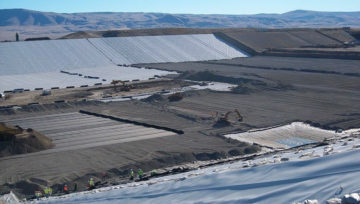 Furthermore, our team of supervisors have over 500 years of geosynthetics installation experience. Our experience translates to quality of workmanship, efficiency of project execution and relationships developed throughout the industry. ESI is dedicated to providing the industry’s best geosynthetic materials and its installation for our customers. This is our sole focus and is the contributing factor of our operational proficiency and ongoing company growth. We also do not compete with our customers (general contractors) in the marketplace, and will continue to demonstrate professionalism and competency to entice customers to become long-term partners. With over 400 trained and highly-skilled field technicians stationed throughout the United States, we have the scale to build the industry’s largest projects, with the breadth to respond to local needs. We also having bonding capability to provide materials for the largest projects in the industry. 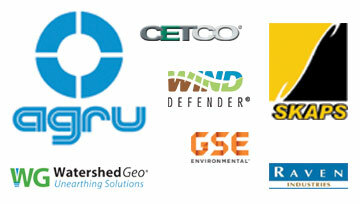 Our customer portfolio ranges from Fortune 100 companies to local, municipally-owned sites. Our partners offer the industry’s most advanced geosynthetic materials, yet they agree that proper installation is critical to their geosynthetic material’s and overall system’s performance. Ensure that your installer is certified by the material manufacturer. ESI is a certified installer! By choosing ESI to install your geosynthetic liner system, you’re choosing uncompromising standards for quality and performance. 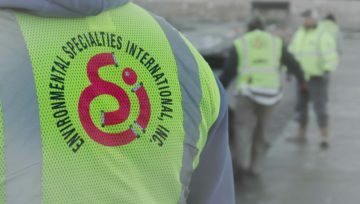 ESI provides contracted installation services directly to site owners, or as a subcontractor to construction managers or general contractors (earthwork contractors). Our customers range from Fortune 500 companies to small, privately owned companies who share our interest in delivering high-quality projects, safely and efficiently, for their benefit of our environment. Contact ESI to learn more about our company and our qualifications for your project.